Keep institutional knowledge within your institution and away from desktops. Sync materials to a cloud-based shared drive that unites your business on the materials it needs to run. Store content from inside and outside the platform in your own cloud briefcase, including decks, slides, videos, and more. 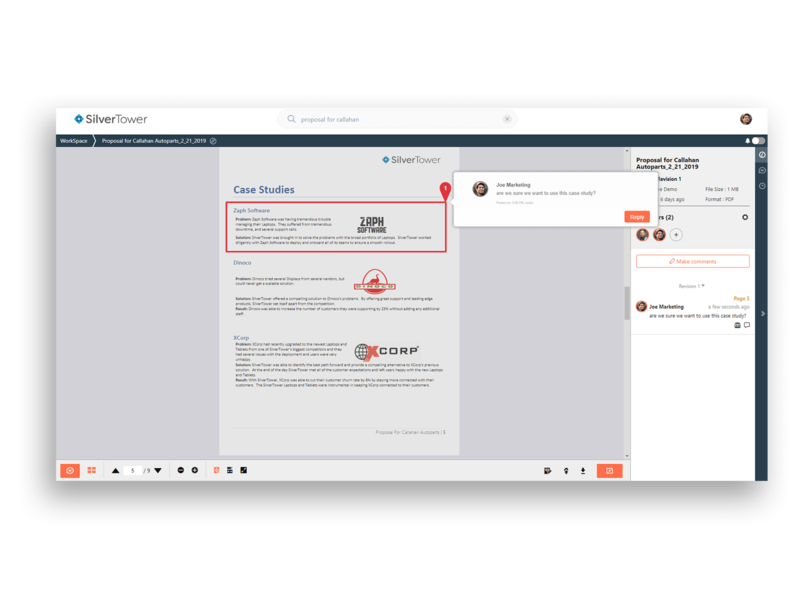 Quickly cloud-share any file or folder with a team, and team members can quickly cloud-share content with you. 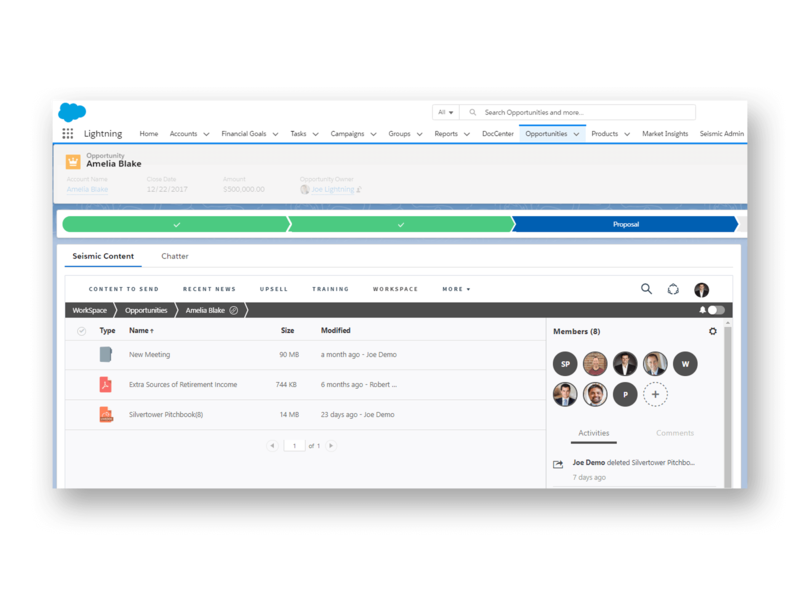 Collaborate for meetings efficiently and effectively, taking fast action with options for intelligent delivery. Keep content in the cloud where it belongs. Office Online integration allows for fast editing and collaboration on materials online. Assets can be linked back to originals, receiving updates whenever revisions are published. Teams, accounts, and content are pulled together through a shared drive providing better communication and knowledge sharing. Access is automatically granted from CRM permissions and teams can add others to assist. Keep everything effortlessly organized, with none of the hassle of creating and managing folders. Share insights and feedback with your team in a real-time comments thread, and tag specific team members with tasks or questions to trigger automatic notifications. 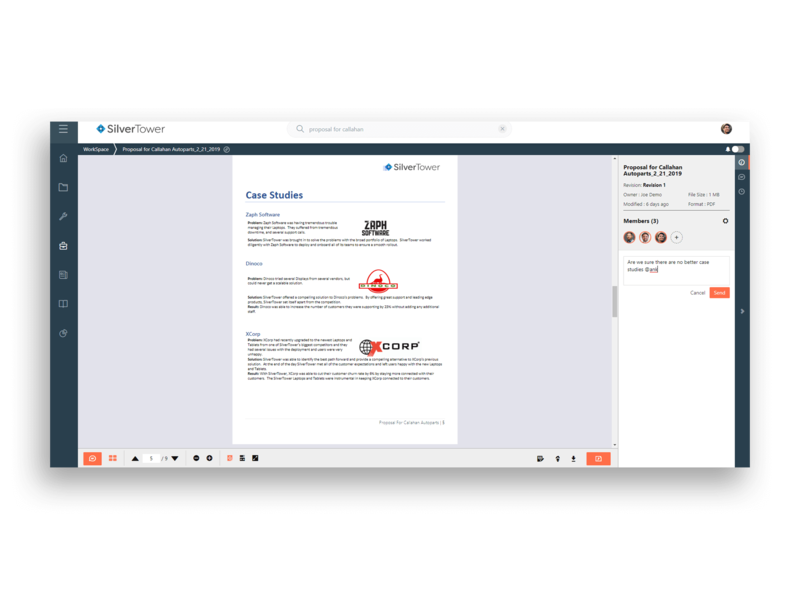 Use robust annotation tools to review or markup static documents as well as live audio and video content – including demo videos and recorded pitches. Using Seismic to collaborate on sales materials allowed the research software firm to scale their processes, reach new audiences, and ultimately, see a 65% increase in revenue generated by their sales reps.